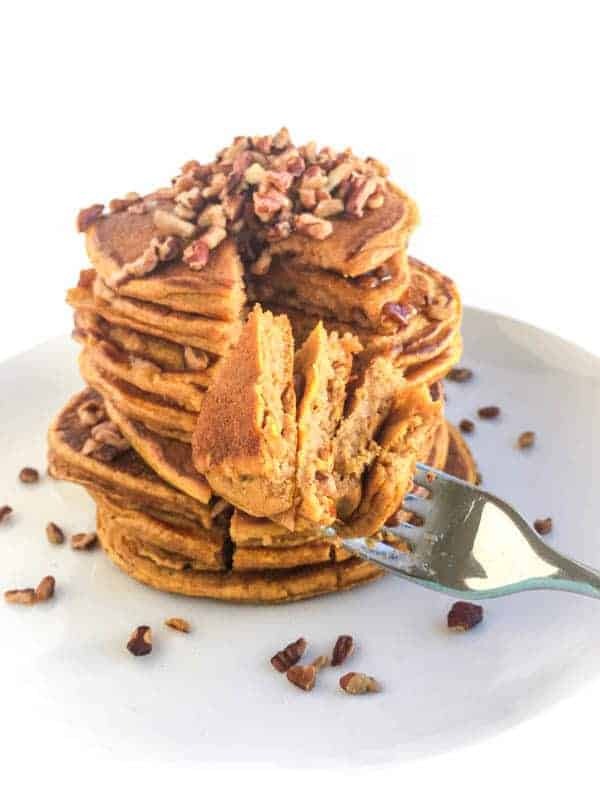 Almond Joy Pancakes are made with coconut flour to create a gluten free, low carb breakfast the entire family will love. Friends – I have a special treat for you today! 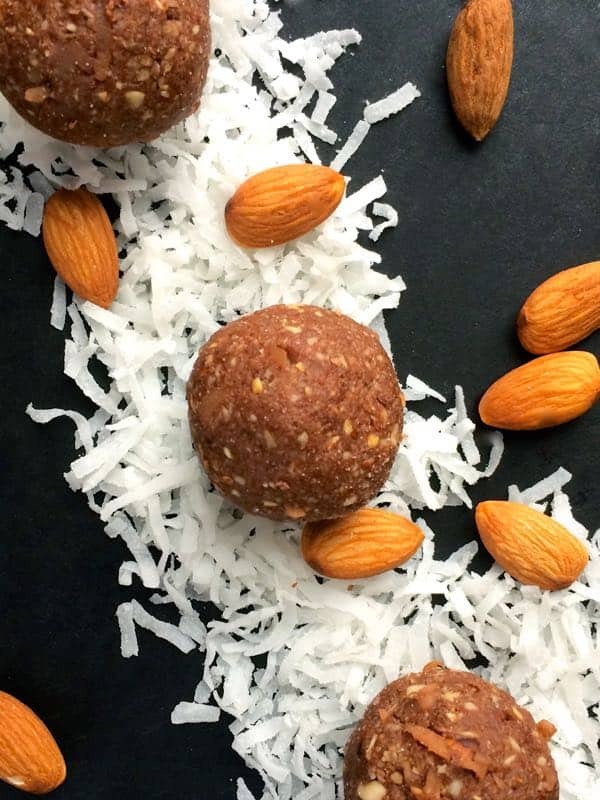 A low carb, gluten free treat to be exact. My friend Carolyn has stopped by from All Day I Dream About Food to guest post while I enjoy a little down time with our new bundle. Carolyn’s tagline, Low Carb, Gluten Free and Fabulous, pretty much sums up all of her incredible recipes perfectly. A few of my favorites include Low Carb Roasted Garlic and Chèvre Lasagna (Gluten Free) and Chocolate Chip Banana Breakfast Cake (Gluten Free). Many thanks to Liz for asking me to guest post here on The Lemon Bowl! If you pay any attention to healthy eating trends, chances are that you’ve heard of coconut flour. You may not have tried working with it yet, but perhaps you’re intrigued. Flour made from coconuts is intriguing indeed. And let me be the first to tell you that it is strange and wonderful stuff. If you’re used to wheat flour, working with coconut flour is akin to entering an alternate universe. It will defy you if you try to treat it like conventional flour and you’ll end up with baked goods that resemble hockey pucks in texture. Maybe even in taste too. 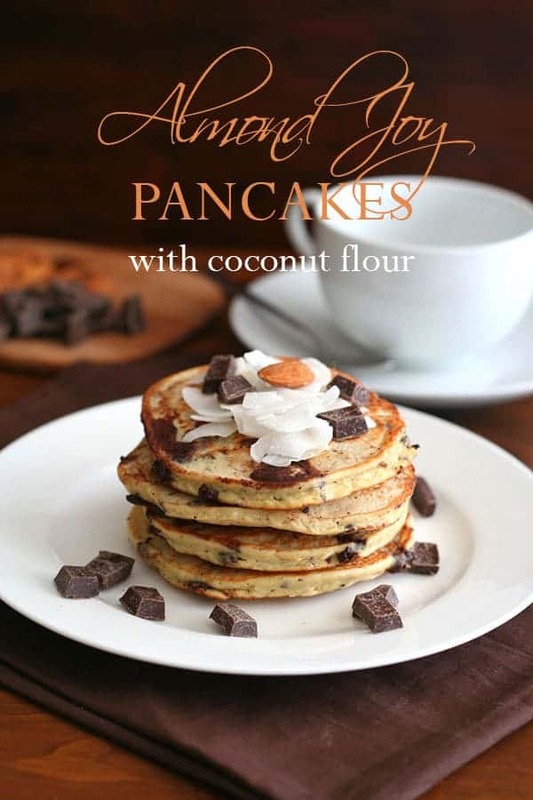 Isn’t this a great start to a recipe made with coconut flour? I am not trying to scare you off of it though. In fact, I urge you to try your hand at it. Just don’t go it alone. Arm yourself with a little research and reading and make sure you try a well-tested recipe first. Because coconut flour will surprise you. First, you will be surprised at how little coconut flour is used for a typical recipe. Then you will be surprised by all the eggs and liquid the recipe takes. Then you will be surprised by the fact that as you’re adding all those eggs and all that liquid, the coconut flour just seems to be absorbing it all. Until you finally end up with a batter that kind of resembles what you’re used to, but perhaps a little thicker. But resist the urge to thin it out and make it look like conventional flour batters because you’ll end up with something that falls apart completely. Trust me. I’ve worked with coconut flour quite frequently and I’ve managed to make some spectacular things with it. I’ve also had some hockey puck-like failures so I know what that’s like. 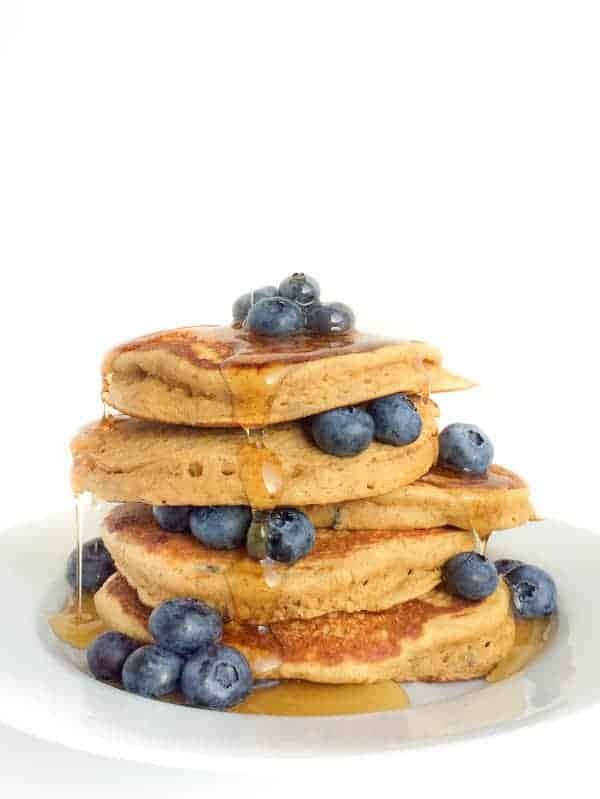 People who want to get into cooking and baking with coconut flour often ask me where to start and my answer is always pancakes. 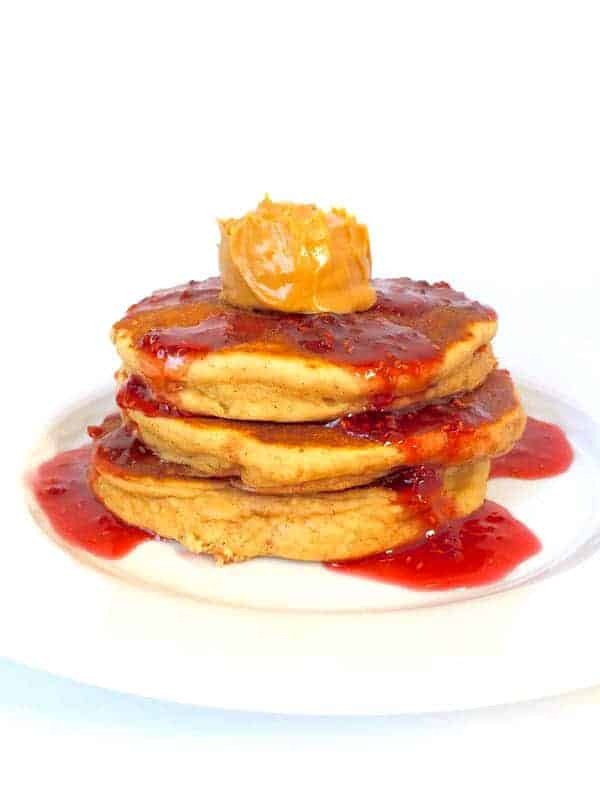 Coconut flour makes for great pancakes, provided that you use enough eggs and liquid. I created a wonderful coconut flour pancake recipe that has been my family’s stand-by ever since. And it’s quite adaptable too. I’ve made Chocolate Chocolate Chip Pancakes, Pumpkin Pancakes, and now Almond Joy Pancakes, all with the same basic recipe as a guide. So if you are looking to get into working with coconut flour, this recipe is a great place to start. Enjoy and have fun! 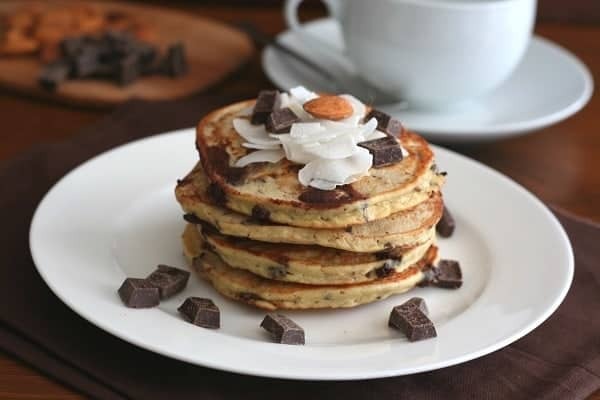 Almond Joy Pancakes are made with coconut flour for a tasty gluten free breakfast treat. In a large bowl, whisk together coconut flour, shredded coconut, sweetener, baking powder and salt. Stir in eggs, coconut oil, 1/2 cup of the almond milk, and the almond extract. Add additional almond milk as needed. Your batter should be thicker than traditional pancake batter, but not so thick that you can't pour it and spread it around the pan. Coconut flour batters also tend to thicken up as they sit so you can add additional milk partway through. 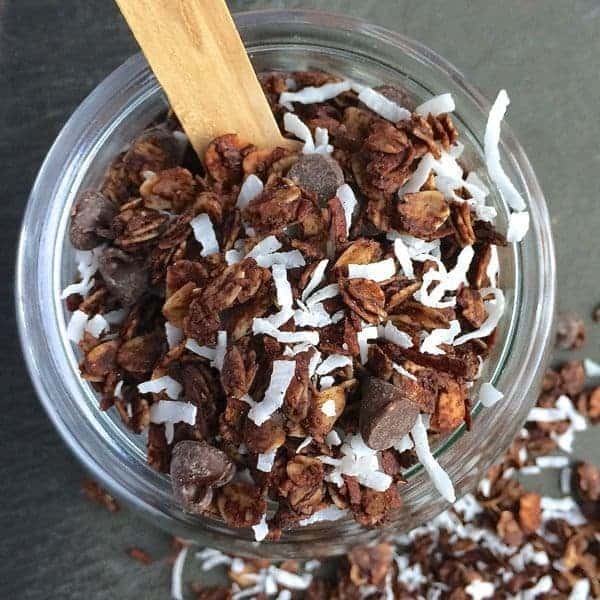 Stir in toasted almonds and chopped chocolate. Heat a large skillet over medium heat and brush with additional coconut oil or another cooking oil. Scoop about 2 heaping tablespoons of batter onto skillet and spread into a 4 inch circle. Repeat until you can't fit any more pancakes into skillet (you should get 3 or 4 in). Cook until the bottom is golden brown and the top is set around the edges. You will see little bubbles start to come up in the center of the pancake, a good sign that it's cooked enough to flip. Flip and continue cooking until second side is golden brown. Remove from pan and keep warm. Repeat with remaining batter. Picture is deceiving. They come out pretty flat, not much rise, Very eggy taste even with the almond flavoring. Hi Teresa, I’m so sorry these pancakes didn’t work out for you. This was actually a guest post so please email Carolyn with any questions on the recipe as she is the one who developed it: [email protected] Thanks! I was so interested to read your comments about using coconut flour. My first attempts at using it were hopeless but I really must try again. I’m going to try making these pancakes, they look so delicious. Hi there. Thank you for the recipe. I follow a pretty strict Keto diet, counting every nutrient. But in looking at the recipe, it says it makes 12 but how many people doe that serve? Is it 12 or one pancake per person? Thanks and I know it makes 12 but is the serving one pancake per person? Yes do you see how it says 12 servings? It should be right on the recipe – I am looking at it now. Let me know if you don’t see it! Yes as I mentioned, I did see that it made 12 but nothing said how many were in a serving. Nothing on the recipe says serves 12. It only says it makes 12. I’m so glad you loved these Heather!! A great idea is to bulk up meals like this with foods that contain fiber and protein so for example a side of Canadian bacon and sliced fresh fruit. Looks very professional and delicious :) I will definitely try this recipe. Thanks for sharing. I just made these and I love them! They are so light and tasty. I only had 54% chocolate, so I used that. I was wondering if I might be able to blog about the recipes I make from your site? I have taken photos already of what I made, but I would like permission (or not) to link to your site. Thank you so much. Hi Carol! Thanks so much for asking!! I’m thrilled you like these recipes!! You are more than welcome to share the link to my recipes but I ask that you don’t share the recipe itself. Also, please take your own photographs if possible. :) Thanks so much! You can see it at the site above. I hope this is acceptable? These look amazing! Thanks for sharing the recipe. Aren’t they gorgeous? Carolyn is so talented! I have never used almond flour before, but I need to give this recipe a try. Almond Joys are my favorite candy bar! They are one of my favorites too!! Enjoy! 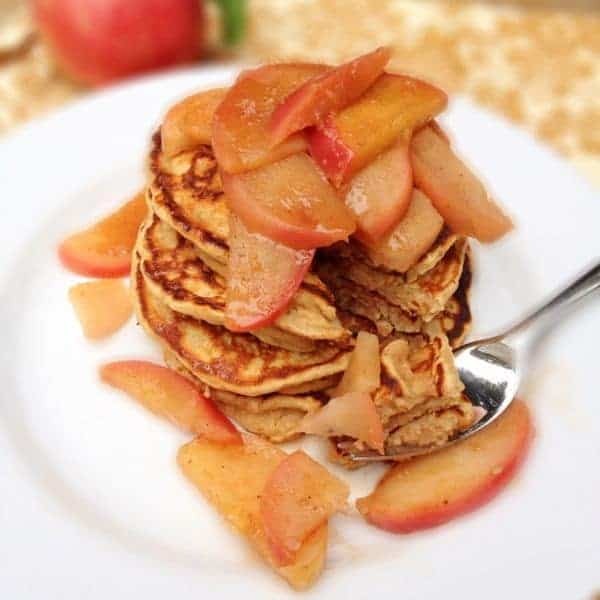 These pancakes look fantastic Carolyn and Liz – coconut flour can be tricky to work with, so I always love seeing recipes that use it. It’s a great gluten-free alternative and since only a little bit is used, it’s actually quite economical. You make such a great point about how economical it is when you don’t use it in large quantities!! I hope you like these Alyssa! These pancakes look magnificent! 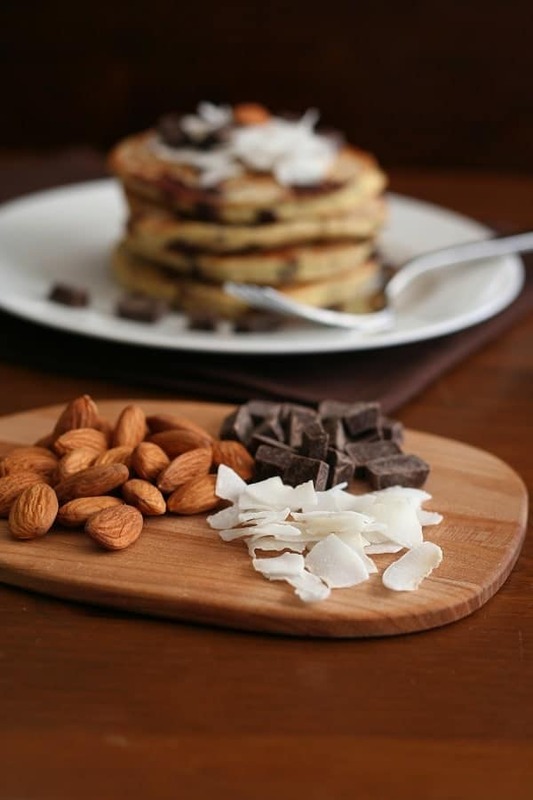 I wish they were my breakfast tomorrow… I mean, they’ll surely happen here when I get my hands on some coconut flour ;–) I’m so eager to try them, thanks for the lovely recipe! I’m making these as soon as humanly possible. DROOL! I hope you love them Nicole!! YUM! holy cow what an amazing combination!! Thank you friend!! I hope you can make them soon! It’s quiet over here, must be post-holiday! ;) Thanks so much for having me. It’s totally post-holiday!!! Thank you again for these fabulous pancakes! Can’t wait to make them! I agree that it’s totally a post-holiday thing because these are amazing! :) And such pretty pictures. I’m going to start doing the same Erin!! Wishing you and your lovely family a magical new year. You and me both!!! I hope you had a great Christmas! I think I’m one of those few people who sneaks the Almond Joy candy bars from my kids’ Halloween candy, so this recipe is right up my alley. Thanks for the awesome tutorial on coconut flour. Can’t wait to try these! haha I love Almond Joys!!! I hope you enjoy these!